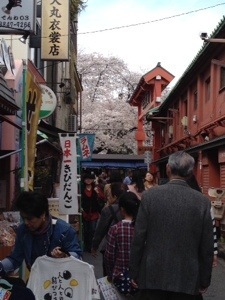 We visited Asakusa today. 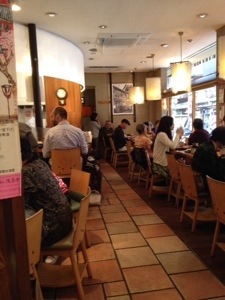 It has a shrine and a series of streets lined with shops and millions of places to shop for souvenirs. 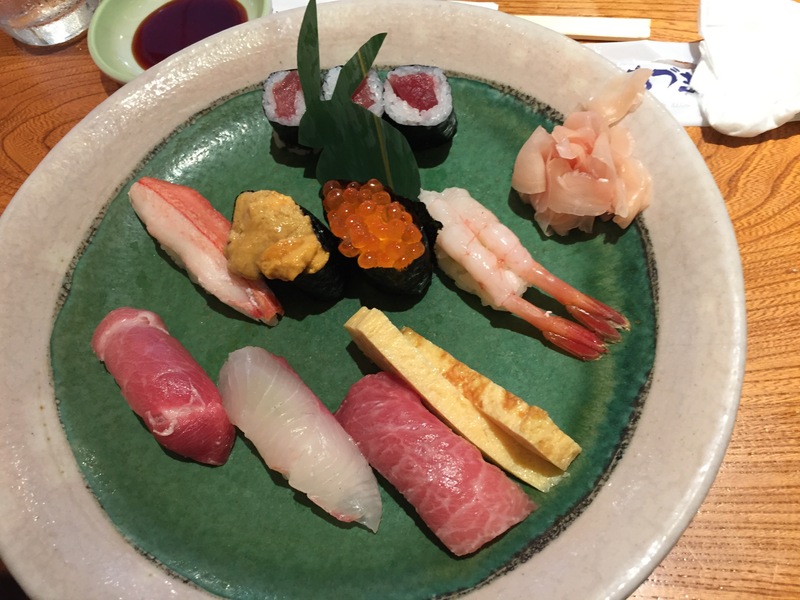 We started looking around for a place to eat and found the same place Deniz had eaten at on her first trip to Japan. She had no idea how to find it again, it was just pure luck. 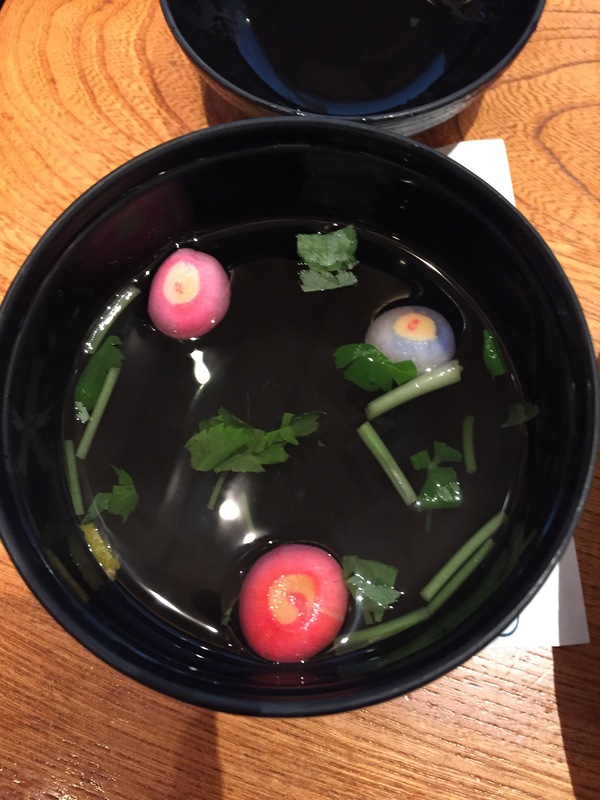 It’s called Asakusa Umaimon Azuma. Great place!! 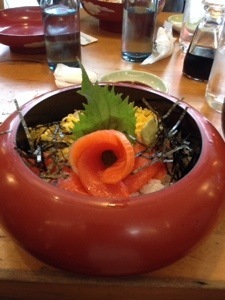 Deniz had “Salmon Don”. 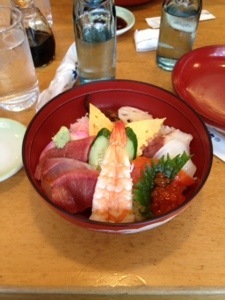 I had “Jo Chirashi”, which is a chef’s selection of sashimi and tamago (egg) on sushi rice. 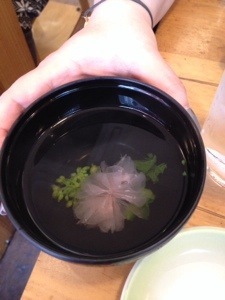 Both our dishes came with clear soup that had a Sakura flower in it. I took this picture of Asakusa Umaimon Azuma on our way out.